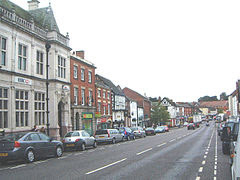 Evans has a sister city in England named Ashby-de-la-Zouch (usually just called Ashby). The relationship has existed since 1986 apparently, but, despite the best efforts of our English counterparts, Evans hasn’t spent much time letting anyone know about it. Museum) who told us that he is putting together a guided tour in November of 2019 for people in several Colorado towns having sister cities in Europe. Evans is one of those towns. He said he had been in touch with the town clerk in Ashby, who told him he’d been trying in vain for several years to establish a relationship with Evans. city-manager Glenn Crowson asked that Evans be paired with an overseas sister city. Once this was accomplished, a resident of Ashby even came to Evans and attended a city council meeting that year. Since then all contact seems to have ended until three years ago when Mr. Jack Fargher, Town Clerk of Ashby, came across the old documents. He emailed Evans city officials, but no one then seems to have had the time to keep in regular contact. We thought residents needed to know more about Ashby and maybe even think about participating in the upcoming tour. Even if you never get there, it’s nice to know you have a sister city, especially one that has a 12-century castle, no less! the National Forest (an environmental project in central England). Its population in 2011 was approximately 12,000. 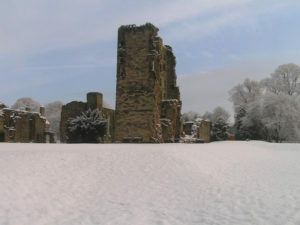 Ashby de la Zouch Castle is a ruined fortification in town. It was built after 1473 on the site of an older manor house by William, Lord Hastings. The castle became famous after it was featured in Sir Walter Scott’s Ivanhoe in 1819, and the owner opened it to visitors. Restoration was carried out until the 1930s. It is now managed as a tourist attraction. Historians consider it an outstanding example of a late medieval castle and an important example of an early Tudor garden. Historically Ashby’s main industry was leather working. It was surrounded by coal mines but was never acoal mining town itself. It now is a distribution center for snack products, a firm of energy consultants and a concentration of high-tech employers. and story tellers, and the town is decorated with flags and an outdoor gallery. next autumn, and we will forward them when they become available.